As you guys know, well, you should by now. I’ve joined Slimming World. I am into finishing my month two but I’ve just got round to finishing the editing on my month one update so I will probably release month two in a few weeks, then keep it monthly. 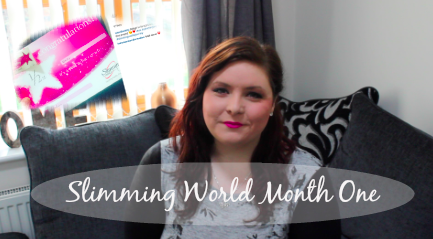 If anyone else is on Slimming World or a healthy lifestyle diet, I would love to hear what you are doing. Also if you would like to see any other videos? I’m thinking of what I eat in a day videos and how I use my syns. I hope you enjoy the video! Please like and subscribe.